Just so you know, we've started packing. I'm trying to start boxing up the non-essentials, like books and CDs (yes, we have boxes of CDs still). My school stuff is boxed up too, and I'm thinking that the Pyrex might be packed too. So you know what the opposite of packing things up is? Pulling out all my fabric, refolding it, and reorganizing it. Yup. That will be the last thing packed, and I want to see it all since I'm home to use it. Top shelf: Pieces larger than scraps and smaller than a 1/2 yard. 1. Small pieces confused me. How should I fold them? 2. Some of my fabric was on the bookshelves, the FQs another bin. It was hard to know what I had. 3. I would pull a fabric only to find out that I didn't have enough. This way I know where to look for a certain size piece. I decided that narrower than 9" (1/4 yard) is a scrap. That may seem large to most of you, but for me it's too small for larger projects and if I think of it as a scrap then I'm more likely to use it. I don't feel bad cutting up scraps, but I panic about cutting larger pieces. As you can see, this is almost exactly the same as the small pieces, but I folded in half instead of around a ruler. You could do it either way. The reason I didn't was because I wanted to be able to distinguish the two sizes in case they ended up in one stack. The larger pieces are folded per Angela's instructions. I do like this method except that the boards could be sturdier. Believe it or not, it takes up LESS space now! I love occasionally reorganizing because it reminds me of what I have and makes me see it in a new way. So hopefully it will stay nice until we move. your stash looks so lovely! 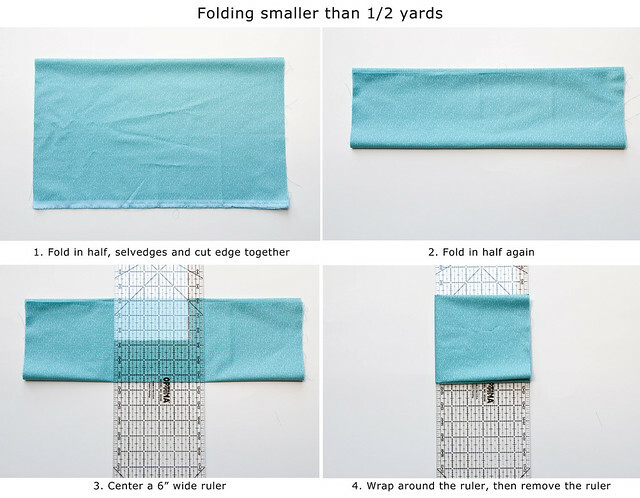 great folding tips...ive tried that before and it lasted just weeks...grrrrr. 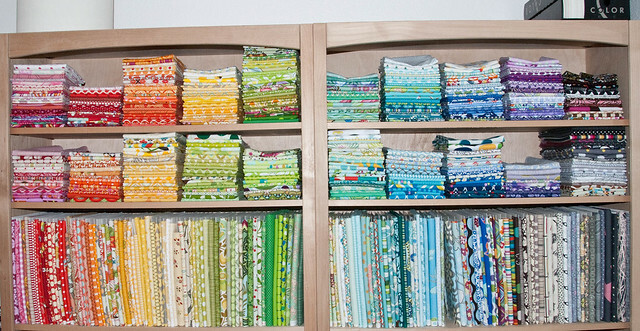 i love seeing your fabrics! It all looks so pretty. I need to do this someday. WOW! That looks amazing!! Thanks for the folding tips!! I'm coming shopping- it's so neat, it looks like a store!!!! I'm supremely jealous. it looks great! 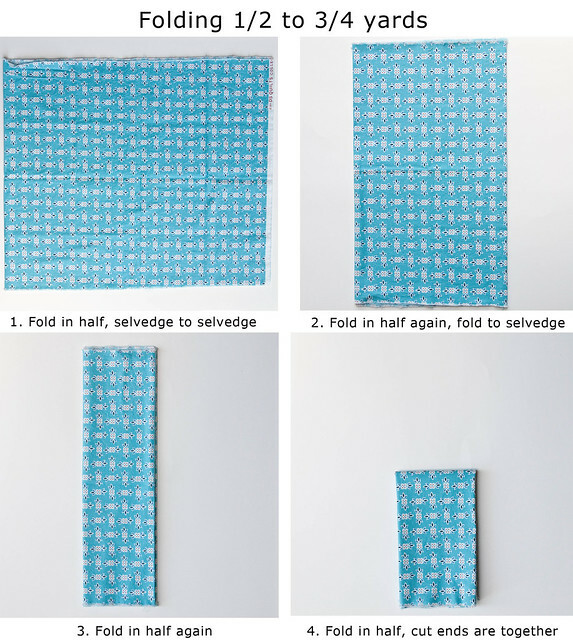 I love how you've come up with a method for the larger small pieces of fabric. I confess that mine are just filling up my scrap bins.